Burn Kill <--- Click Photos to take a photo tour of Wescott's 27. Each hole includes a photo from the tee and a view of each green. Directions From I-95 Exit off I-95 to I-26. Take I-26 toward Charleston. Remain on I-26 until Exit 209 (Ashley Phosphate Road). Exit at 209 and turn right onto Ashley Phosphate Road. Remain on Ashley Phosphate Road approximately 5 miles. Turn right at traffic light on to Dorchester Road. Landmarks leading up to this intersection include an Appleby's Restaurant on the right, a Burger King on the left and 76 gas station and a McDonald's at the intersection. Proceed on Dorchester Road to the third traffic light. Turn right onto Wescott Boulevard. Proceed 1/2 mile to a circle and turn right. This will lead directly to the clubhouse. From Charleston Take I-26 from Charleston toward Columbia. Remain on I-26 until Exit 209 (Ashley Phosphate Road). Exit at 209 and at the end of the exit ramp turn left onto Ashley Phosphate Road. Remain on Ashley Phosphate Road approximately 5 miles. Turn right at traffic light on to Dorchester Road. Landmarks leading up to this intersection include an Appleby's Restaurant on the right, a Burger King on the left and 76 gas station and a McDonald's at the intersection. Proceed on Dorchester Road to the third traffic light. Turn right onto Wescott Boulevard. Proceed 1/2 mile to a circle and turn right. This will lead directly to the clubhouse. 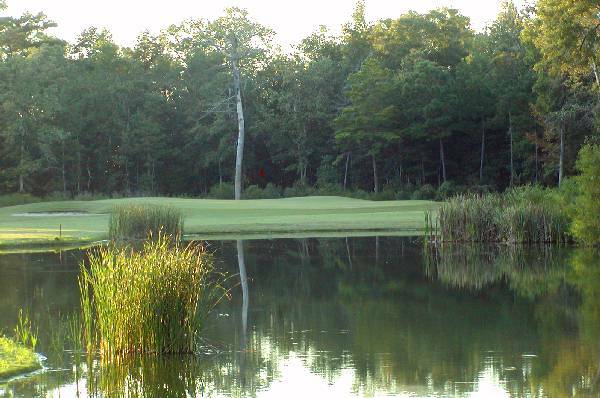 Green Fees Non-SC Resident Mon. to Sun $89. Rates include cart and does not include taxes. Green Fees SC Resident Mon. to Thu $43, Fri to Sun $50.30. Rates include cart and taxes. General Policies Proper golf attire. No denim, and no T shirts. Facilities Golf shop, snack bar and full service restaurant and bar are located in the clubhouse. Practice The practice complex includes a putting green and driving range. Perry Green - Director of Golf Operations and Director of Instruction. Comments Cut among pines, live oaks, and dogwoods, the Wescott Plantation brings to North Charleston the style and grace of the "Old South". With an interesting combination of doglegs, water, continuous tree flanked fairways and 27 holes Wescott is sure to bring out every club in your bag.